An oral appliance is similar in appearance to an orthodontic retainer or the mouth guard devices used in sports. Customized for each patient, the oral appliances used in dental sleep medicine are created by a dentist who has had training beyond their original degree in this highly specialized area. There are several types of oral appliances, all of which are designed to advance slightly, the lower jaw to open the airway during sleep. An ideal solution for many cases of snoring or obstructive sleep apnea, oral appliances are easy to use and for patients who cannot tolerate CPAP they may be the only non-invasive option that can offer relief. See our different appliances for CPAP alternatives in Ballwin, MO. Please Fill In Required Fields and reCAPTCHA. Our office offers patients a particular advantage in that we use five (5) different oral appliances. The choice of which appliance to be used is based on many factors including the patient’s bite, their jaw size and range of motion, their tongue and soft palate size, whether they clench or grind teeth during sleep and the severity of their apnea. Dr. Postol and his staff offer 25 years of expertise to help educate patients on which appliance option(s) would provide the best treatment solution and comfort for them. Read on to learn more about the different types of oral appliances and their benefits. The Narval™ CC is a custom-made mandibular repositioning device (MRD). The Narval™ CC is an alternative solution for patients with mild to moderate OSA and patients who do not tolerate CPAP treatment. It has patented physiological articulation and unique comfortable splints to optimise patient acceptance and treatment efficacy. The EMA is also a custom-made appliance that fits over the upper and lower teeth. It differs from the Adjustable PM Positioner in that it is in two pieces that connect with straps on the sides. This appliance uses a thinner plastic and can feel be less intrusive for patients who have smaller mouths or a concern about wearing something in their mouth. 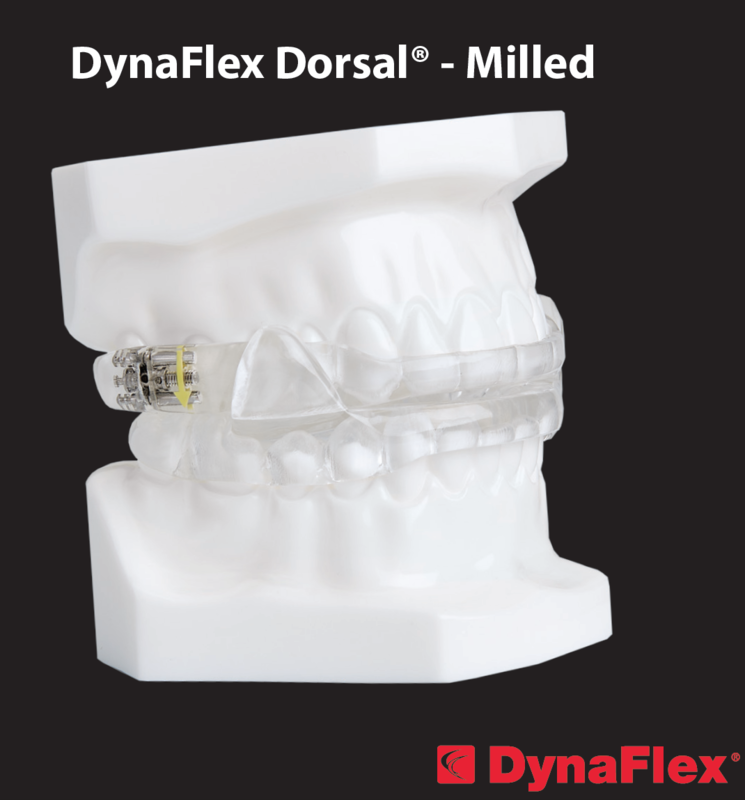 The straps come in 5 different lengths and flexibilities which allows jaw position to be advanced gradually. While the thinner wall of this appliance and the flush fitting straps benefit fit, it is not as durable as other appliances nor is it as adjustable as some other appliances. The TAP® 3 appliance is a proven treatment protocol for mild to severe OSA. The relatively simple design attaches the upper and lower jaws together by utilizing a small hook and socket mechanism and holds the adjustment position until the device is removed. The TAP® 3 uses a small, detachable key that can be used by the patient to self-manage the adjustments incrementally, allowing the jaw the opportunity to adapt gradually, until the desired position is achieved. The key can be used while the appliance is in place and once adjusted correctly, the key is removed and the patient can completely close their mouth with the appliance inside. This unobtrusive, self-adjustability is one of the reasons TAP® has a compliance rate of 95%. This is a custom-made appliance of a heat-sensitive acrylic and is reinforced by a metal framework. The adjustment mechanism (Herbst) is positioned on the sides of the device and consists of a piston that slides within a tube. The appliance is comfortable on the teeth and the mechanism allows substantial freedom of movement in the jaw, making this option a frequent choice for patients who tend to grind their teeth heavily. Small elastics (rubber bands) are used to keep the jaw from falling open during the night although the patient is able to open the mouth partially, which can improve comfort when using the appliance. At our Ballwin family dentistry, our focus is your comfort. We understand that sleep apnea treatment can be intimidating, so we developed oral appliance therapy. These are small, comfortable, and quiet appliances that open your airway so you can breathe easier at night. That means: No more CPAP machines! Dr. Postol specializes in sleep apnea treatment, and he offers several different types of oral appliances. When you come in for your consultation, we will discuss which option is best for you. Research studies tell us that oral appliances are effective as a CPAP alternative - They work for 85 to 90% of patients who snore and they work for 60 to 75% of patients with mild to moderate sleep apnea recent studies indicate that even in cases of severe sleep apnea oral appliance therapy is 40% successful. In addition, where up to as many as 40 to 60% of patients are non-compliant with their CPAP machines, oral appliances are perceived as less invasive and can increase compliance rates to close to 100%. 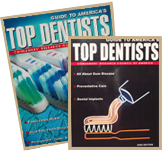 The American Academy of Sleep Medicine (AASM) has stated that oral appliance therapy is indicated as a first treatment of choice for patients with primary snoring and/or mild obstructive sleep apnea and as a second treatment option for patients with moderate or severe sleep apnea who fail, refuse CPAP treatment, cannot tolerate CPAP and/or are not good candidates for surgery. Surgery for sleep apnea treatment is generally a last resort. The “cure” offered by surgery is not as reliable as patients might hope since the aging process often re-creates relaxing skin at the back of the throat in the area of the soft palate and allows the tongue to fall into the airway. Uvulopalatopharyngoplasty (UPPP) - removes excess tissue in the throat to make the airway wider. It is the most common surgery to treat sleep apnea in adults. Mandibular/Maxillary Surgery - for patients who have abnormal jaw positions during which the upper or lower jaws can be moved forward. Hypoglossal Nerve Stimulation - increases airflow with a pacemaker-like device which monitors breathing patterns and stimulates the hypoglossal nerve, affecting the muscles in the upper airway to allow improved airflow. Tired of restless sleep and snoring? Schedule an appointment with who many consider to be the best dentist in Ballwin, MO. Dr. Postol and his team have over 25 years of experience treating all types of sleep apnea with the oral appliances above and other methods. Get your best sleep ever when you contact us today!